Jerry Walton is a remarkable self-taught artist with no formal training. He worked for a short time as a figure painter for Royal Worcester Porcelain and has managed to paint in every spare moment. 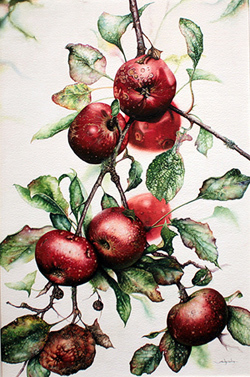 He specialises in precise and detailed watercolours. 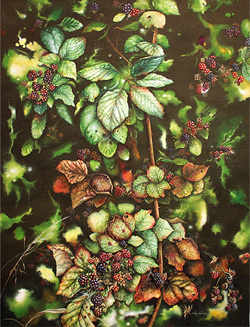 Jerry Walton gleans his inspiration from the natural world, which he sees as a colourful palette. He then translates this beauty to recreate interesting and complex images on paper of the highest calibre. Read the full Jerry Walton biography.